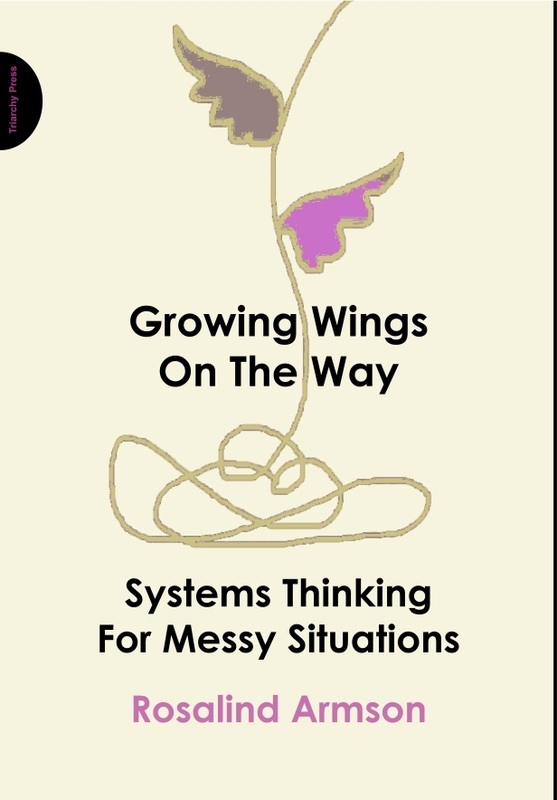 Rich pictures (which came into Systems Thinking from Peter Checkland’s Soft Systems Methodology) are an ideal starting point for dealing with messy situations. They attempt to capture everything you know about the messy situation without imposing any structure or analysis. Rich pictures launch your ‘finding out’. They depict things, ideas, people and connections, indeed everything you perceive to be part of the situation you are concerned with. They also contain representations of more subjective elements of the situation: character, feelings, conflicts and prejudices (literally ‘pre-judgements’). A rich picture is just that, a rich pictorial representation of the situation in all its messiness. Many people are wary of drawing their first rich picture. Some object that they cannot draw. The good news is that you don’t need to have any artistic talent. Indeed, my experience is that sometimes artistic people get sucked into creating an aesthetically pleasing picture rather than sketching rich, interconnecting visual notes. The good news is that if you could draw when you were five, then you have all the talent you need to draw a good rich picture. Creating a rich picture is one of the best ways of experiencing its benefits. As with many systems-thinking ideas, experiential learning is more convincing, more reliable and more fun than simply reading about it. I invite you to draw a rich picture of your own messy situation. This rich picture, drawn by a project manager, concerns the fragmentation and conflicting priorities of his project. Notice the vivacity of the images. Even without knowing much about the issues, it is possible to discern some of the concerns and experiences he is encountering. This is how you set about drawing one. If you have already identified a messy issue you want to work on, prompted perhaps by the Introduction or by Chapter 1, make it the subject of your picture. Gathering materialsStart with a large piece of paper and some coloured pens or crayons. Ideally use a sheet of A1 (ANSI D, elephant, double demy) flip-chart (butcher’s) paper or failing that, a sheet of unlined A3 (ANSI B, ledger, tabloid). Of course, you can ignore this guidance and work with a ball point on the back of an envelope or on a napkin. These are not ideal for your first rich picture but they are perfectly adequate in an emergency. Getting startedThen simply represent everything you know about the situation. The situation is full of resources for, as well as obstacles to, taking action. A key tip here is to make sure there is plenty of activity in your picture. Don’t just draw stick-figure people, show them doing something and show some of their context – where they do it. Include resources, tools, equipment, buildings, ideas, dreams, processes and objects. Use metaphors. Show interconnections. Make it rich. My sister and I started by drawing Mum, at the centre of the picture. We drew her in her armchair, which is where she spent most of her time. We next tried to capture her situation by depicting her walking frame, the cats, money going down the drain, her helpers and so on. interfaces and boundaries ~ targets, goals, aspirations ~ resources ~processes ~ people ~ progression ~ roles ~ relevant history ~organisations, departments, teams ~ issues ~ needs ~ thoughts and ideas~obstacles ~ concerns, reactions, responses ~ conflicts ~ dreams ~alliances ~ time ~ tools and equipment ~ buildings ~ objectsSome people get ‘white-paper panic’. If you find it difficult to start, just draw a squiggle in the middle of the page. It will break the intimidating power of the empty white paper. Don’t do preliminary sketches. The first rich picture will be good enough. You are drawing mainly for your own use; it doesn’t have to make sense to anyone else. Don’t get hung up about ‘getting it right’ or using the right symbols. Don’t structure your rich picture in any way. This means don’t draw it as a comic strip; don’t structure it with a single over-arching metaphor; don’t structure it as a time line or systems diagram (see Chapter 8). Don’t exclude relevant observations about culture, emotions, and values, including the emotional climate, social roles, and your own values, beliefs and norms, and personal stuff that may ‘get in the way’. Include other points of view. These rules and other suggestions for drawing rich pictures are explained in much more detail in the book.